BankBazaar is world’s first unbiased online market that brings you customized rate quotes on loans, credit cards, insurance and other financial products/ services on your fingertips. Here you can instantly search, compare and apply for loans (personal, home, car, etc. ), insurance (car, health, term life, etc. ), mutual funds, get fixed deposit rates, RD interest rates, gold rates or of various other investments. BankBazaar also provides you with paperwork assistance, handpicked offers and discounts, reviews and ratings, online tools and research articles, all free of cost. To give you more financial support, Zingoy offers you amazing cashback on all your own and your friends’ purchases from BankBazaar. You can also find some of the best BankBazaar offers and discounts on Zingoy, here. 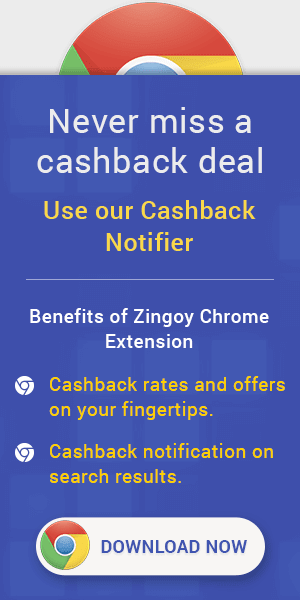 Key conditions for Cashback eligibility: - Apply for personal loan using the same email Id that is used to register on Zingoy For personal loan application go via this page only. Personal loan application will need to be approved by the Bank. Tracking Details Bank Bazaar clicks will not be recorded on Zingoy account. Tracked Cashback will take 30 days to reflect on Zingoy account. Tracked transactions will be validated in 60 day. Bank Bazaar helps with missing cashback issues. Bank Bazaar Personal Loan Cashback Offers : Now Get an Amazon gift card worth Rs.750 on disbursal of your loan. The voucher will be sent to the email ID provided at the time of making the personal loan application after the disbursal of your Personal Loan. Get cashback once your loan is approved by bank bazaar. Personal loan application will need to be approved by the Bank.